Hi everyone! I'm excited about these new Pantene shampoo and conditioner called Color and Perm Lasting Care. By this time they're not available yet at stores, but hopefully soon! 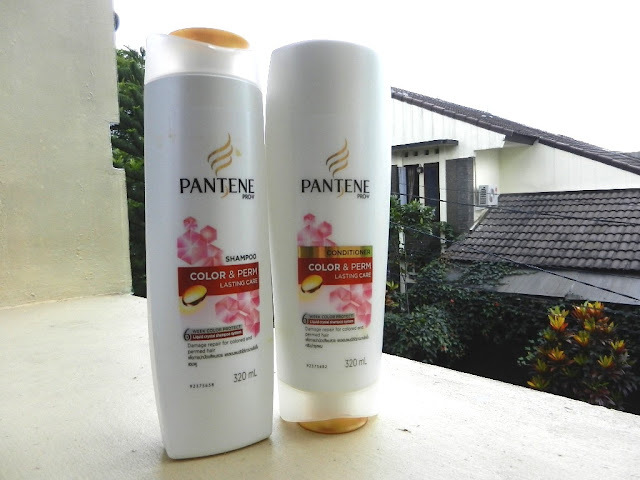 Pantene Color and Perm shampoo: the texture is similar like the other Pantene range, found it a little bit drying for my hair strands. Pantene Color and Perm conditioner: I love it! It works really well with the shampoo (which is a lil bit drying for me), my hair went so soft and smooth, and one thing that I love most is.... It makes my curly texture more defined! For you that has a color or perm or even natural curly hair, this Pantene Color and Perm Lasting Care worth to try!